Photo of a surfer beneath an enormous wave. According to SURFER Magazine editor Brendon Thomas, Surfline has "allowed for a quantum leap in surfing progression,” he says. “Big-wave surfers can track storms around the world and be at the place where the waves are the biggest and best with just a few days notice. 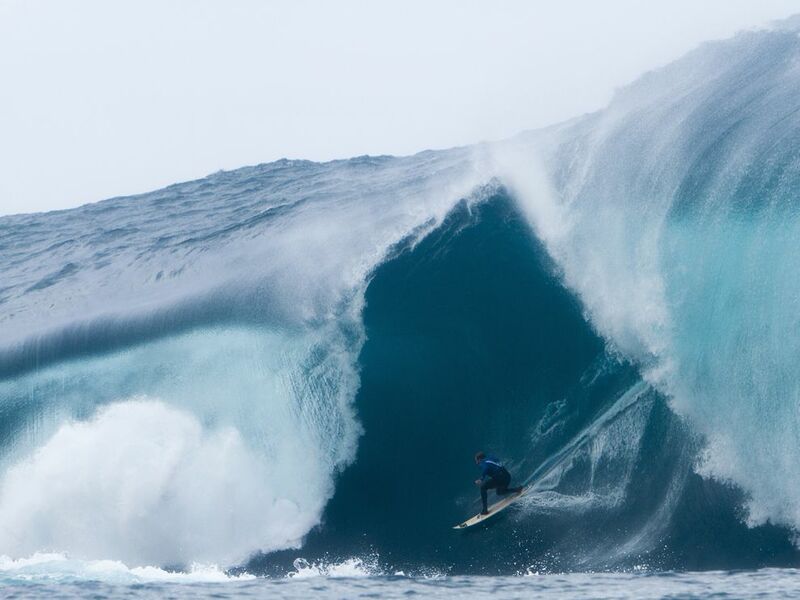 The result is surfers have ridden bigger waves than we ever thought possible.” Here, professional surfer Mark Mathews faces off against an enormously powerful wave off the coast of western Australia. Although equipped with a buoyancy vest, the wave still kept him somersaulting underwater for close to 30 seconds. How surfer Sean Collins created the surf forecasting website Surfline and how the site currently works to predict surfable waves.